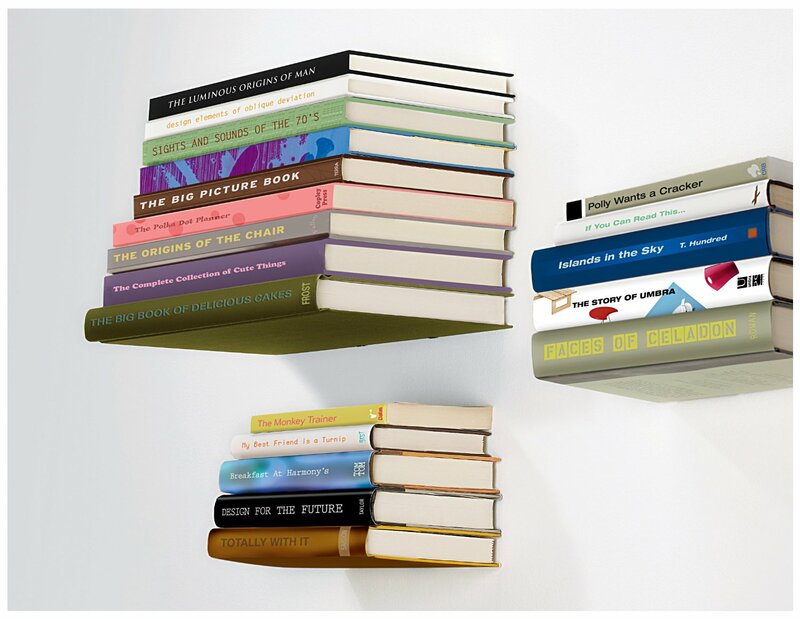 Pepper & Chocolate: Floating book shelf. E-books are becoming the trend but nothing beats the charm of real books. Plus you probably have a large collection of fine novels or art books that you cherish. Chances are you want to display them in your living room or office but you don't want one of those old bulky book shelf to disrupt the sleek style of your home or condo. This is the perfect solution you have been looking for. An almost shelfless book shelf. It is functional and beautiful. you will have a hard time to find a shelf that has a more minimalist style design than this one. Best of all, it's really affordable. So don't feel bad about your collection. Be proud, display and enjoy the incredible feeling of opening one of your old favorite.